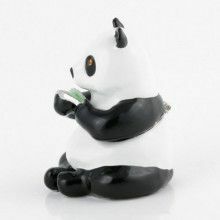 This bamboo panda trinket box is adorable and functional! 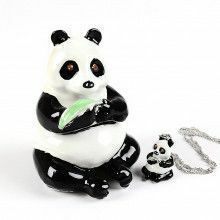 Made from a strong pewter base, this keepsake box holds small items securely with the help of a magnetic clasp. 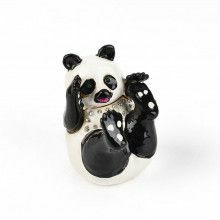 This panda features silver plating and is about 2" long x 2 1/4" wide x 3" tall in size.